We had college orientation tonight for Chelsea. It was an informative meeting for the kids and parents to understand the things they need to have ready before classes start. They got a student handbook, planner and course catalog. A tour of where there classes will be and all the information they need to access their grades and info for the school. She will need to get her books, student ID and a parking pass before classes begin in February! Yep, February! She will be doing two classes that will total 3 credits. And the best part. It's all free! It's part of the "Tech Prep" program that the teacher recommends students for. The classes are during the day two days a week - right after her regular school day ends she will go to the college. Chel's real excited about getting started. 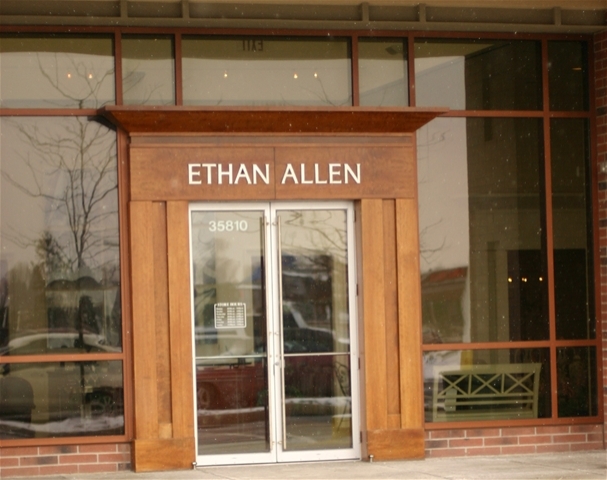 Today my mom and I also went to Ethan Allen to order my furniture! I can't wait, although I'm going to have to... up to 12 weeks until it's delivered.